Arsenal look closer than ever to selling club captain Cesc Fabregas as reports leaked from the Emirates Stadium that linked the Spaniard with a return to Barcelona. It emerged last week that the Gunners rebuffed a bid from Barcelona for their former player, an offer which was thought to be in the region of £27million. However, a senior figure at the club admitted that they could part ways with Fabregas should an interested party come closer to meeting their valuation of the midfielder. It is thought that Arsenal are resigned to losing the player after a long trophy drought rumbled on in 2010/11, though Barcelona are thought to be some way short of the North Londoners’ asking price of around £40million. Arsenal’s board are thought to be keen on the idea on cashing on the 24-year-old as they do not wish to keep a player on the books who wants to be playing elsewhere, but team manager Arsene Wenger has repeatedly stated his desire to hold on to the World Cup winner. 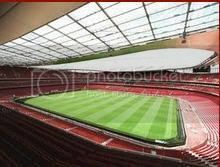 New owner Stan Kroenke will be key what happens at The Emirates this summer, as he aims to build a strong relationship with Wenger. Any sale of the player may also depend on another variable, the expected acquisition of Argentine midfielder Ricardo Alvarez. But it is thought that European champions Barcelona are keen to tie up a deal quickly and may lose interest should Arsenal stall on their maximum offer. Those looking at football betting tips note how the Catalan giants are said to want to have Fabregas at the Nou Camp by next week, before Arsenal embark on a gruelling pre-season tour of the Far East. Meanwhile, Wenger’s move for Alvarez may be scuppered by some alleged interest in the player’s services from Inter Milan. But news of such interest from the Nerazurri may cause Wenger into action and he could be set to make a concrete offer for the Velez Sarsfield player, who is valued at around £11million. While Arsenal fans have long been resigned to the prospect of losing captain Cesc Fabregas to Barcelona, they certainly were not expecting this summer to see another one of their star players dragged about in the transfer gossip in a truly serious way. Having enjoyed a decent season, albeit one that rather collapsed at about the same time as Arsenal lost their way in all four competitions they were fighting for, Nasri has attracted the interest of several top clubs, even though he is still lacking the goal scoring record that would see him evolve from being a decent player to one who is quite simply world class and on the same level as the likes of Cristiano Ronaldo. Those who bet on Premier League will know he would be a big loss. Despite the fact that several clubs seem to be monitoring Nasri's situation, it does now appear that he will be prepared to talk to Arsene Wenger and restart the contract negotiations that had previously stalled and looked unlikely to resume unless the Gunners spent big money or announced that Fabregas would definitely not be sold. Whatever the outcome of the Fabregas situation, the fact that Nasri has come back to the table to talk to Wenger suggests that there is soon to be announced activity in the transfer market from Arsenal, and in all likelihood it will have to be a big name player if it has managed to persuade Nasri that he may just be winning a few trophies if he sticks around at the Emirates Stadium for another few years. The football online betting suggests he will need to push on to secure glory though. With Fabregas likely to be finalising his deal to Barcelona around the time these talks should resume, the fact remains that a new contract for Nasri would be a huge boost to Gunners fans, who are starting to get more than a little annoyed by the lack of ambition shown by the club. Arsenal have reportedly rejected a bid of around £27 million for Cesc Fabregas from Spanish giants Barcelona. The Catalan side have been chasing the midfielder for the last two summers and many now believe that this will be the year the 24-year-old finally returns to his boyhood club. Fabregas grew up at Nou Camp club, idolising coach Pep Guardiola but was snapped up by Arsenal as 16-year-old on a free transfer. Since then he has become arguably the finest midfielder in the Premiership, skippering Arsenal for the last three seasons but many believe his time has come to leave the Emirates club. Those placing an online bet will be keeping an eye on where he's going. Fabregas himself has continually stated his desire to move back to Spain and having previously turned down a bid of around £35 million last year the Gunners have once again turned down Les Cules advances. Despite their continued success over the last three seasons, Barca are currently in huge debt and are unwilling to pay over the odds on players. The club's finances are in such trouble that next season the team's shirts will carry a sponsor for the first time in their 112 year history, after the side previously sported Unicef on their jerseys with the club making numerous donations to the charity as well as taking part in aid work and raising awareness of world poverty. Guardiola is reported to have a transfer budget of around 45 million euros and having reportedly already bid the majority of that on Udinese winger Alexis Sanchez will have to sell a number of his stars in order to generate more funds. Those following the betting should bear this in mind. However, according to Barca president Sandro Rossell, neither the club nor the coach are prepared to pay more than what they believe the player to be worth. "Guardiola knows the values of players and Cesc's is less than 40million (euros)” he told the Catalan station TV3. “Barcelona will offer less and if they (Arsenal) don't accept, then he won't come. Pep knows the club is not well-off in terms of money." Arsenal fans are a poor old bunch. After being forced to watch their side fall apart last season in miserable fashion, with boring old Alex McLeish's ability to mastermind a victory over Arsene Wenger at Wembley in front of millions of spectators watching on TV a particularly painful point of the campaign, they have now been further let down by their manager's rather odd involvement in the transfer window to date. With the Gunners bringing in a man nobody has realistically heard of, while constantly hearing rumours that a few of the club's star names are seeking swift exits from the Emirates, including Clichy and Fabregas, perhaps the ultimate in bad news for Arsenal fans has been saved for this week and the astounding news that Wenger is considering making a move for Birmingham's Scott Dann. Those looking at the Euro betting odds would have raised an eyebrow at the news. Should Wenger go ahead with a move for a man many believed would have fitted in perfectly well in the Championship next season with a side more boring than watching paint dry, it may end up being the final straw for players like Fabregas, who have publicly appealed to the Arsenal boss to bring in players of real quality to add the finishing touch to a Gunners side full of talent but lacking in experience and composure. Those placing Premier League bets will know this is what they need. With Dann a man who contributed to a defence that, along with an inefficient attack, combined to experience Premier League relegation, it seems slightly bizarre that he has been made such a serious target, especially at the reported price of £15 million. Had Wenger used that money to bring in Phil Jones, a player with real potential, rather than let Fergie steal him from his penny-pinching grasp, Arsenal fans may have been left with a smile, rather than a frown, on their faces. West Bromwich Albion have taken a firm stance on the future of their striker Peter Odemwingie, telling Arsenal that he is not for sale at any price. The 29-year-old had an excellent first season in England last time out scoring 15 goals in all competitions for the Baggies. This has since led to him being linked with a bigger club. Arsenal are on the hunt for a striker of course and are interested in making Odemwingie their man. Arsene Wenger clearly thinks he will suit the Gunners’ style of play and score plenty of goals. However, with interest from Chelsea as well, West Brom technical director has made it clear that they have no intention of letting their star striker leave. Should the player hear of interest from Arsenal though, he will surely make moves to help it happen. He spoke at the end of last season saying that although he has enjoyed his time at the Hawthorns, he would have to consider interest from a top four club. At 29, Odemwingie might not have too many more chances to sign for a club as big as Arsenal and he would presumably love for his second Premier League season to be at the Emirates. As for whether he would be a good signing for the Gunners, there is no reason why not. He can clearly score goals at this level and in a team with more creativity he will get plenty of opportunities. He is a positive character too who will always give his all to the team. He has a positive influence over the dressing room and bursts with enthusiasm about the game he loves. It is expected that West Brom would say he isn’t for sale too. They couldn’t respond to interest in any other way. However, if Arsenal make a firm offer and the player makes it clear he is interested, this deal could move along very quickly. Watch this space. Perhaps this Nigerian international will be wearing his Mercurial Superfly Vapors at the Emirates next season. Is Cesc set to go? Arsenal defender Bacary Sagna has admitted that club captain Cesc Fabregas is desperate to leave the Emirates Stadium this year in order to join his boyhood side Barcelona. The Spaniard has once again been linked with a return to the side where he grew up before signing for the Gunners as a 16-year-old in 2003. Speculation has been rife over the last few summers that Fabregas was set to return to the Nou Camp but Arsenal have always managed to hold on to their man but Sagna believes this could finally be the summer the midfield maestro moves on. Betfair BlackBerry users won't be surprised by this. Fabregas was part of Spain's World Cup winning squad alongside the likes of Barca's Xavi, Andreas Iniesta and Gerard Pique who have all openly expressed their desire to be joined at club level by the Arsenal skipper and Sagna has admitted that the playmaker has his mind made up. "I can say it's true that Cesc wants to go to Barca," Sagna told France's RMC radio station. "Fabregas wants to return to his country of birth, to his city, where his family are; he wants to play for one of the best teams in the world, Barcelona, and that's understandable". Another possible exit from the Emirates is Samir Nasri who has rumoured to have attracted the interest of rivals Manchester United. Most people who have made a Betfair iPad download will have heard the rumours. Nasri is about to enter the final year of his contract and due to the Gunner's lack of silverware is rumoured to be looking to move as he looks to win some trophies. However, Sagna believes his compatriot happy at the club but is unsure whether or not he will stay at the Emirates. "Samir is happy at Arsenal, but I don't know what the best thing is for his career," he said. Arsene Wenger has stated a desire to keep Samir Nasri and Cesc Fabregas at Arsenal next season as he looks for the Gunners to go for the Premier League title. The French boss has seen his side remain without a trophy since 2005 and they slipped to fourth in the Premier League title race last season as a faltering end to their campaign saw Manchester City leapfrog them in the table. For large parts of the season Arsenal looked to be in contention but they struggled to retain any consistency and were shown on countless occasions to have a brittle defence and a faltering goalkeeping situation. Those following the football predictions will know Arsenal's problems all to well. Wenger has large areas of his side to improve and the last thing he would want is to lose the club's two star players, in the shape of Nasri and Fabgregas. The Frenchman has been linked with a move to rivals Manchester United while Fabregas is annually reported to be moving to Barcelona during the summer transfer window and those looking at the football betting should remember this. 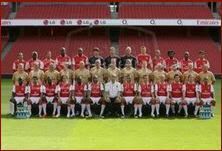 One thing remains virtually nailed on and that is that Arsenal would not stand a chance of winning the Premier League title if the two midfielders left the club – and fans would not be shocked if Wenger failed to spend money to replace them if they did exit the Emirates. Wenger is convinced Fabregas "will stay" at Arsenal but he could have more difficulty persuading the 23-year-old Nasri to remain with the club with the Premier League champions sniffing around him. "We will do everything to keep Nasri at the club. My wish is that he stays here," the boss told the Sun. "If he looks back he can see that he's come quite a long way with us, and I think there is still a bit to do." Gunners striker Robin van Persie has come out and denied questioning the professionalism of his English colleagues, stating his words were taken out of context. The Dutch striker needs to quash this media circus as in-fighting and bitching is never going to help Arsenal's bid to become serious Premier League title contenders again. With Manchester United and Liverpool splashing the cash on Phil Jones and Jordan Henderson respectively, Arsenal have gone quietly about their early summer transfer business with the signing of Charlton defender Carl Jenkinson. The Finland Under-21 international has joined the Gunners after only making eight appearances for Charlton since his debut in December 2010. Arsene Wenger clearly likes what he sees though. The Frenchman and his scouts always have an eye out for young players they can secure without spending too much money and Jenkinson fits the bill. Hopefully he will prove to be a wise signing over the next year or two. As for the player himself, he is clearly delighted to be moving to the Emirates. Why wouldn’t he be though? It seems hard to believe that he would have expected a club like Arsenal to be interested in him at this early stage of his career. Jenkinson is an Arsenal fan too, so he will be determined to make a name for himself at the club. In fact, if he can have a successful career at the Emirates, he would be in dreamland. Hopefully, this turns out to be the case and he manages to become a popular player amongst the supporters. There are many Gunners fans in Jack Wilshere Shirts at the moment, will there be plenty of Jenkinson ones in the future as he looks to burst onto the scene? As for the transfer activity at Arsenal, this is the first summer signing and could lead to a few more in the next few weeks. As ever, fans and pundits will be calling for Wenger to sign more experienced players, but if this opening bit of business is anything to go by, he won’t be changing his approach just yet. What's Stan's plan for Arsenal? Having made his first official decision as owner of Arsenal, with his choice to raise ticket prices for home matches next season a pretty unpopular one, the question now resting on many Arsenal fans' lips is: what will Stan Kroenke do next? With fans desperate for the owners to invest a fair amount of cash on bringing a few new stars to the club, and with Arsene Wenger finally looking like he's losing his unfounded fear of spending the levels of cash needed to bring in top players without having to spend a further ten years or so developing them (this after a recent discussion during which he admitted that he couldn't see a reason why he would not be able to buy Real Madrid's Karim Benzema), the real question remains as to what Kroenke will do to support these desires as he bids to avoid becoming an obstacle placed in the way of the forward movement of Arsenal football club. Those following the Arsenal betting will know things need to change. Despite the improvements that were seen last season in the way Arsenal played in general, the Gunners still showed that they were extremely vulnerable to being pushed around and defending set pieces. The football odds won't make them favourites for Premier League glory until they address these issues. Until Arsene Wenger goes out and finds or buys a way to beat these kinds of tactics, he'll be all too aware that he will continue to fail to bring silverware to the Emirates stadium and will instead be forced to stand on the touchline as the fans start to turn against him and the owners in a way that had been unheard of until the chants of "six per cent you're having a laugh” that rung around the Emirates towards the end of last season. Should Kroenke continue to misread the feelings of the Gunners fans, he may find that the club's supporters turn against him in a similar style to that seen from the Manchester United and Liverpool fans in recent seasons. Even though Arsenal's Jack Wilshere made all the right headlines for his consistently stunning football last season at club level, he has since made comments which hint that the referees respect campaign in the league is not just one that has its weak points, but one which is in fact utterly flawed. Having seen his club Arsenal concede a fair number of penalties and after being forced to watch on as the rub of the green went against him and his team mates on more than a few occasions compared to their rivals Manchester United and Chelsea, Wilshere apparently believes that the Gunners need to show the sort of unattractive in your face attitude that the likes of United display while surrounding refs in order to gain more favourable decisions and help ensure every single decision is thoroughly thought through by the ref. Those following the Premier League best odds will know what an impact the big calls can have on games. With the Premier League making it extremely clear that it wants to see an improved level of respect towards refs, and that it is looking to crack down wherever possible on unsportsmanlike behaviour, Wilshere's words suggest that this campaign is having little to no effect when it comes to the top sides. Anyone looking to bet on Premier League winner should bear this in mind. Despite this, it seems unlikely that the Gunners star will receive any form of caution or reprimand for his words and he has actually been seized upon by the media as having displayed the kind of attitude that should be lauded rather than berated. So much for respect. In spite of this attitude, Wilshere may find that while surrounding a ref can help you get a few big decisions, it does help significantly more to have a tougher defence that doesn't leak so many crucial goals during the course of a season if he wants to go out and win his first Premier League medal. Arsene Wenger has denied Samir Nasri will be leaving Arsenal to join Premier League rivals Manchester United this summer. Nasri enjoyed his finest season in an Arsenal shirt and was included in the PFA player of the year nominees, which has put him in the shop window for European clubs. The Frenchman has only 12 months remaining on his contract at the Emirates meaning there is a real danger he could leave the club on a free in a years’ time, but Wenger insists he is going nowhere, even if talks over a new deal have hit a stumbling block. "One thing's for sure: we're not selling him to Manchester United," Wenger told the French radio station RTL. "Are we still in discussions with Nasri? Yes, but we are still in disagreement over the financial contract on offer, which we haven't settled. We are trying to extend his deal." He added. 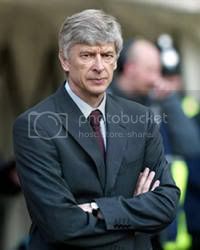 Wenger is looking forward to a busy summer and is rumoured to be eyeing up Real Madrid’s Karim Benzema and Lille forward Gervihno – additions the boss hope will line up alongside Nasri and club captain Cesc Fabregas next season. The Spaniard was the subject of a bid from Barcelona last season and Wenger insists he will not be approached by the Catalan club this time around. “Barcelona were interested last year in Cesc but not this year. For me, he's the world's best midfielder.” He commented. "He's our captain. We've built the team around him. Of course we want to keep him." Win big and play Play Fruit Machines!